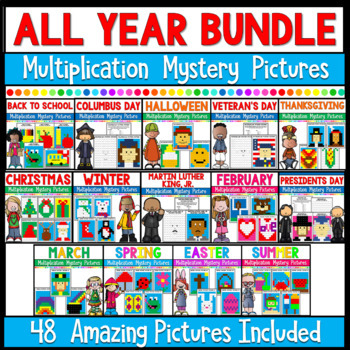 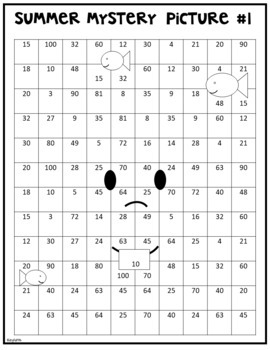 This great bundle combines 3 great holiday multiplication mystery picture sets. 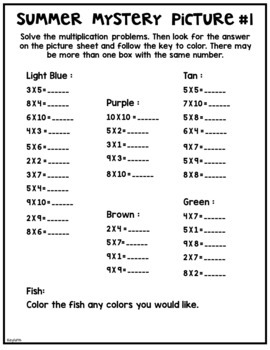 There are 12 pictures in all. 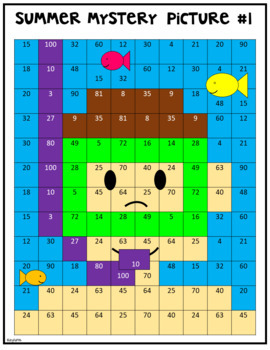 Each comes with the fact and color code page along with the picture to color and then a teacher color key.